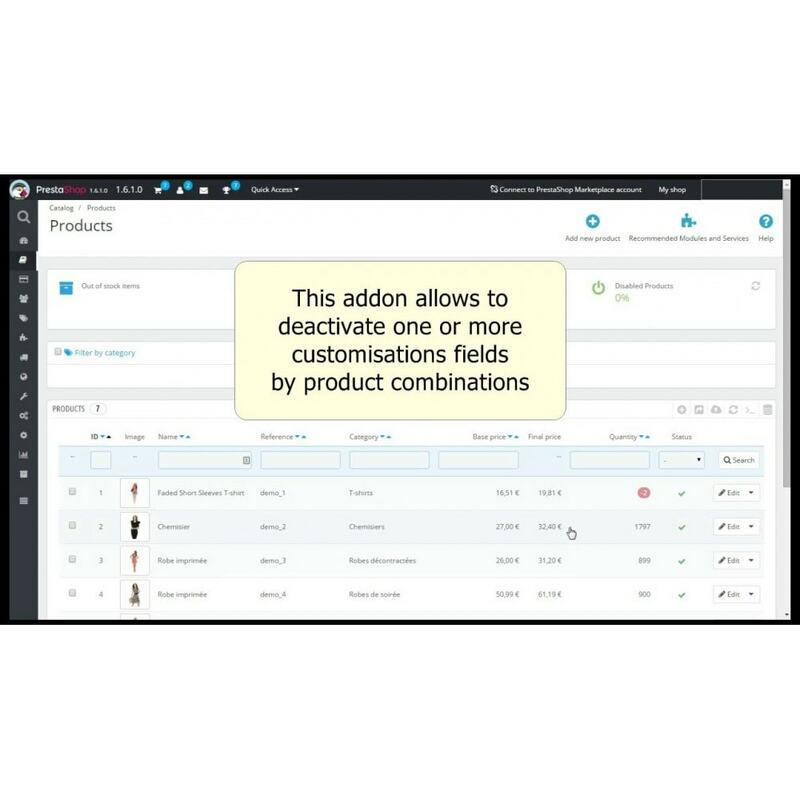 This module allows you to deactivate customization fields according to the product combination chosen by the customer. Prestashop allows the customers to customize their products by texts and images. It is very usefull, but these customizations are global for a product. We cannot manage them by combination. Nevertheless, it is frequent to propose a product with or without customization or with more or less of possibility of customization and to impact the retail price accordingly. 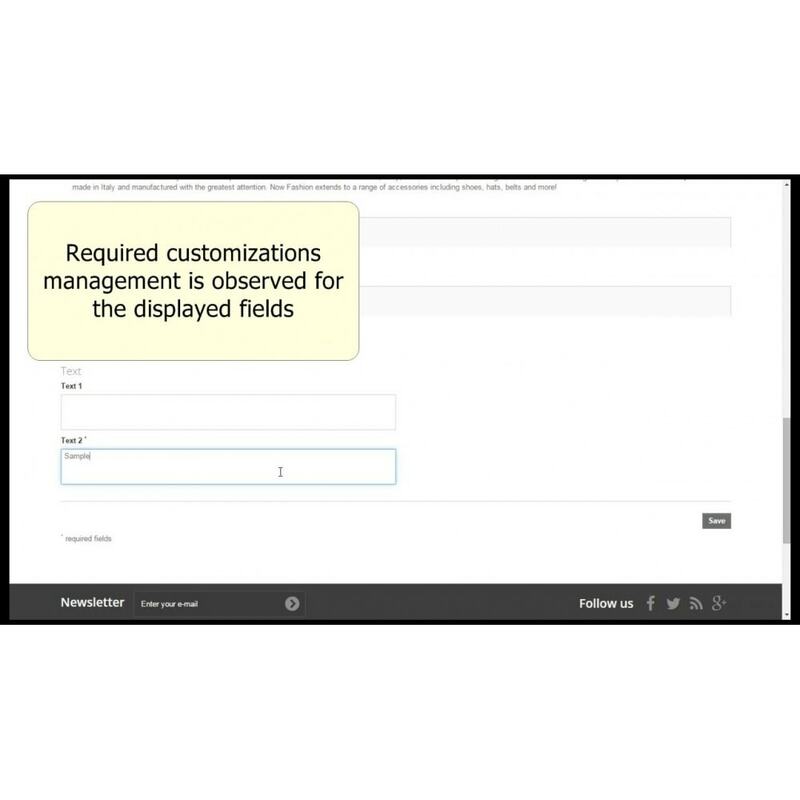 This module corrects this problem by allowing you to deactivate one or several fields of customization according to the combination. 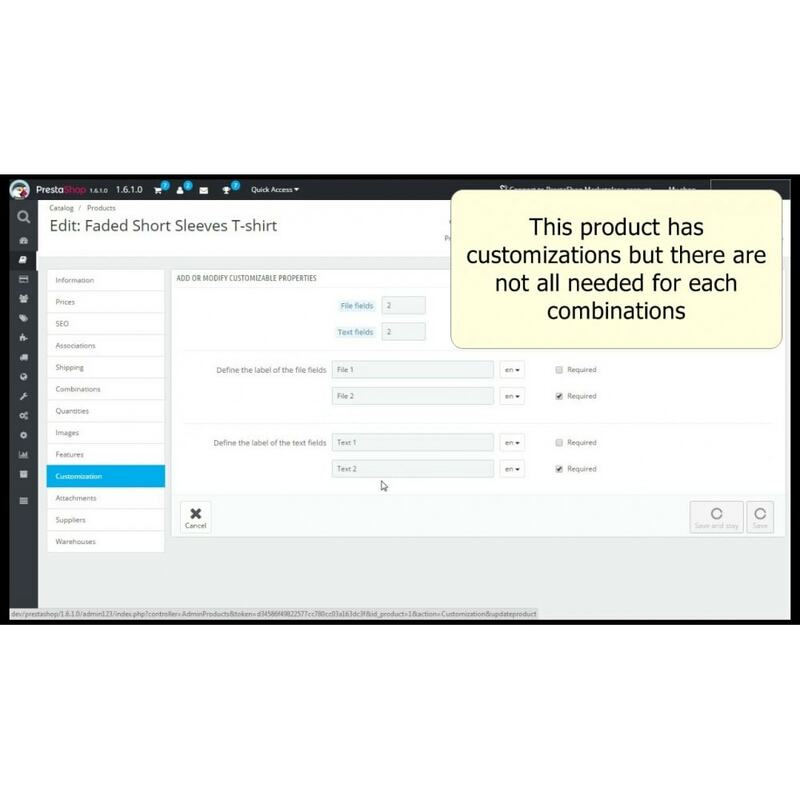 You thus have the freedom to manage finely your customizations without having to explain their functioning to your customers. 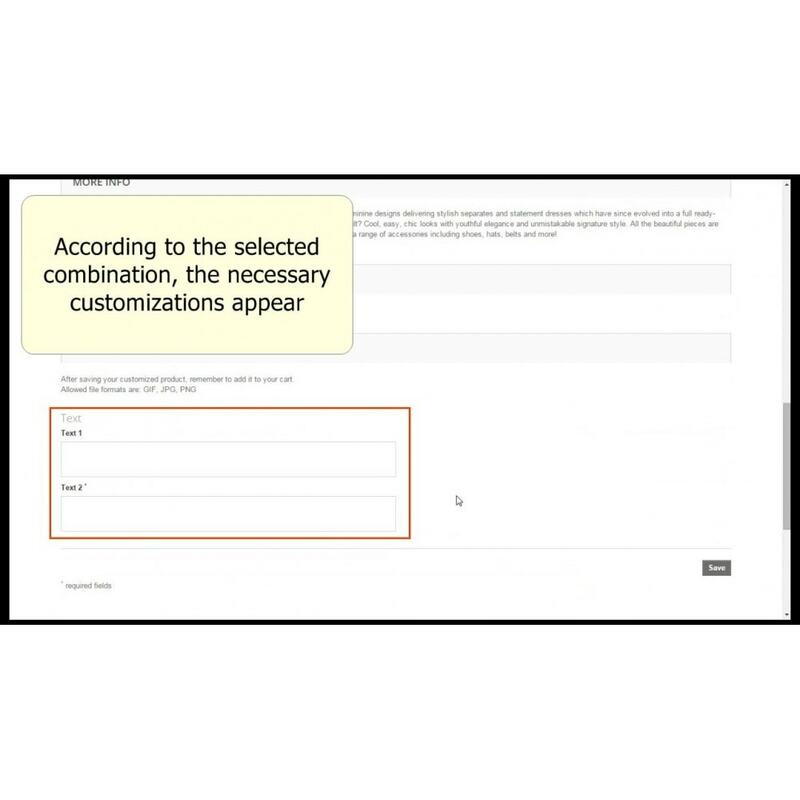 it adds a checkbox for each customization fields in the "combinations" tab of your product sheet. Check the customization fields you want to disable for each combinations. Text and file fields are supported. You can also disable required fileds. The customer has a product sheet simpler and more adapted to his demand. The customization of products is not obvious for many customer, thus the more you can simplify it, the more he has of chance to continue his purchase.